‪Critical Missing 6 year old Aniya Brewer has been located and is safe. She had spent the night at a friends, and her parents were not aware. 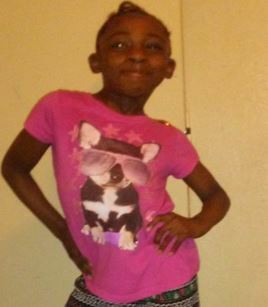 Thanks for your assistance..‬The Dallas Police Department is asking for the public’s assistance to help locate a critical missing 6-year-old female. On April 6, 2018, Aniya Brewer was last seen about 3:00 pm, walking from school in the 3000 block of Tips Boulevard, heading towards the 3500 block of East Overton Road. Aniya is a black female 6 years old. She is 4 feet tall, weighs 70 pounds, with black hair and brown eyes. Aniya was last seen wearing a pink jacket, pink and white tennis shoes, and a white school uniform type dress. If anyone has information or locates Aniya Brewer, please call 911 or the Dallas Police Missing Persons Unit at 214-671-4268.